This workshop is a great experience to learn how to build with cob. You will get a solid foundation in cob building fundamentals. 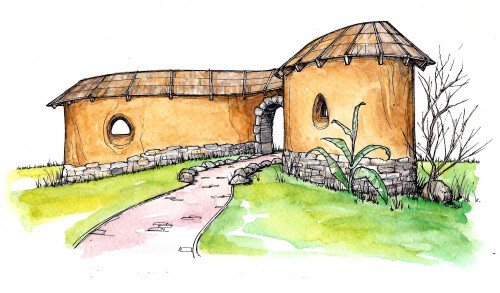 We will be constructing a cob garden wall that extends off the corner of our cob house. It will have a rubble trench, stone foundation, roofing, arched doorway, and carved niches. After this project, you will have the basic know-how and confidence to build your own simple cob constructions or cob building. This workshop will be a unique experience for people to learn about building cob constructions. Most workshops don’t cover foundation construction or roofing techniques. You will learn all the core lessons needed to really start building in this one workshop!